Nearly four years ago, a trio of top jazz musicians headed to Berlin about to collaborate. This was no ordinary collaboration though. It was a collaboration between The Norwegian-American trio of Jon Irabagon, John Hegre and Nils Are Drønen arrived at N.K, in Berlin on the 11th of June 2013. That night, the trio of Irabagon, Hegre and Drønen took to the stage and flitted between lyricism and expressionism on an eighteen epic they called Berlin. Eighteen months later, and the trio repeated the process again. This time, Jon Irabagon, John Hegre and Nils Are Drønen had travelled to Fukuoka in Japan, to play at the New Combo on the 14th of January 2015. That nigh, Irabagon, Hegre and Drønen took to the stage and showcased a new piece Fukuoka. Just like Berlin, Fukuoka was ambitious nineteen minute epic where the trio switched seamlessly between lyricism and expressionism during what was powerful and moving performance. 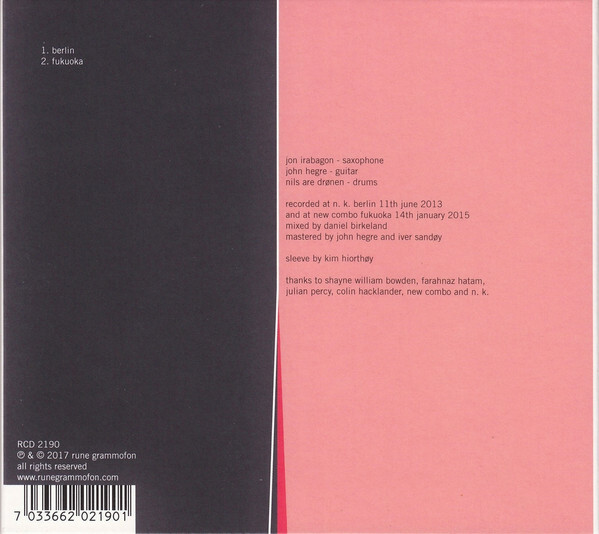 Now two years after Irabagon, Hegre and Drønen recorded Fukuoka, it features on Norwegian-American trio’s recent album Axis, which was released by Rune Grammofon. It features Berlin and Fukuoka, which features three top jazz musicians at the peak of their powers. That is no surprise, as Irabagon, Hegre and Drønen are highly respected and experienced musicians. American saxophonist Jon Irabagon has enjoyed a long and varied career. His recording career began in the late nineties, and since then, Jon Irabagon enjoyed a successful solo career, lead his own band Jon Irabagon’s Outright! and collaborated with a wide range of artists. This includes Joe Hertenstein, Barry Altschul, Jay Rosen, Dominic Duval and Tom Harrell. Just like his solo albums, these albums have been released to critical acclaim. However, that’s just one part of the Jon Irabagon story. Over the past three decades, Jon Irabagon has been a member of numerous bands. This includes Barry Altschul’s 3Dom Factor, Bill O’Connell’s Chicago Skyliners Big Band, the John Yao Quintet, the Dave Douglas Quintet and the experimental jazz quartet Mostly Other People Do The Killing. Jon Irabagon has worked closely with Mary Halvorson and is a member of her various combos. In total, Jon Irabagon has played on over sixty releases. However, John Hegre is equally prolific. Forty-year old John Hegre is based in Bergen, in Norway and has always played an important part in the vibrant music scene. This lead to a successful musical career. His recording career began in the late nineties, and since then, he’s enjoyed a solo career, been a members of numerous groups and collaborated with the great and good of Norwegian music. However, John Hegre first came to prominence with Der Brief. They released their debut album Volum in 1998. For John Hegre, this was the start of a prolific recording career. He’s been a member of numerous groups, and recorded albums with Jazkamer, Kaptein Kaliber, Noxagt, Public Enema, Rehab, The Golden Serenades and Tree People. 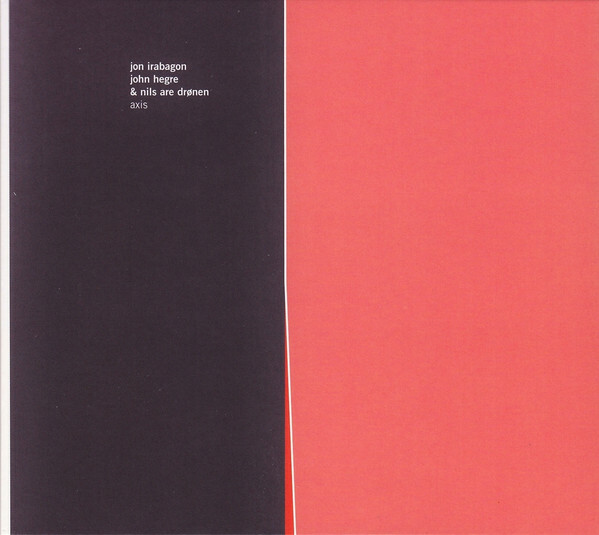 Later, John Hegre has also released two solo albums, Snow King in 2005 and Colors Don’t Clash in 2006. Somehow he found time to collaborated with some of the biggest names in Norwegian music. This includes Helge Sten, Lasse Marhaug, Maja S. K. Ratkje and Howard Stelzer. Away from his solo career and collaborations, John Hegre has worked as composer, sideman and producer and is a familiar face in the Norwegian music scene. So is the third member of the trio, Nils Are Drønen. While drummer Nils Are Drønen may not be as prolific as the other two members of the trio, he’s an experienced, versatile and talented musician. Just like John Hegre, Nils Are Drønen has played an important part in the Bergen music scene. That is where the two musicians met. Since then, they’ve formed what has proven to be a successful musical partnership. The pair recorded albums as Der Brief and Jazkamer. Away from his partnership with John Hegre, Nils Are Drønen has been involved in a variety of other projects. This includes recording as Waver, which for a while, was Nils Are Drønen’s musical vehicle. Waver contributed tracks to various compilations in the early part the new millennia. Since then, has occasionally worked as a sideman, and in 2012, played on Stein Urheim’s sophomore album Kosmolodi. Nils Are Drønen has been a member of a number of groups, including The Last Hurrah! He played on their critically acclaimed sophomore album The Beauty Of Fake which was released in 2013. It received praise and plaudits upon its release. So has Irabagon, Hegre and Drønen’s new album Axis, which was recorded in Berlin and Fukuoka. As Berlin opens Axis, the arrangement is understated and spacious. One note is played on a guitar before cymbals are caressed and a braying horn enters. Gradually, the arrangement unfolds with the wistful saxophone climbing above the arrangement. Still, cymbals are caressed as occasional bursts of guitar interject. Mostly, the saxophone takes centre-stage, before the drums decide to power the arrangement along. Meanwhile, John’s guitar playing is inventive as he provides a counterpoint to the saxophone on this improvised jam. The trio play with urgency, invention and power. Especially the scorching, braying saxophone which is akin to an outpouring of emotion. Later, the arrangement dissipates. Soon though it explodes as the trio play with renewed vigour. Nils’ powers his way around the drum kit, while John’s fingers flit up and down the fretboard of the guitar and stabs of grizzled, blazing horns punctuate the arrangement. It finds the trio reach new heights as they combine power, urgency and drama. By then, John scratches and scrabbles the fretboard adding a new layer of sound. Still, Nils continues to power his way around the drum kit, thunderous drums and crashing cymbals combine with the fleet fingered guitar and a howling, scorching free jazz saxophone that soars and scrams above the arrangement. It’s akin to a musical equivalent of Primal Scream Therapy. However, after nearly eighteen minutes of inventive genre-melting music the trio are spent, having fused avant-garde, improv and noise to create an inventive epic. Fukuoka closes Axis. Again, the arrangement is understated, as brief bursts of saxophone, chirping guitar join hissing hi-hats. Less is more for the first two minutes. Then the saxophone takes the leads. Jon holds back, subtle runs of saxophone are joined my muted, plucked guitar and rolls of drums. Gradually, Jon begins to stretch his legs, unleashing a rasping, braying saxophone solo. The guitar is plucked, reverberates and drones while the saxophone wails, howls, rasps and guiders. Soon, it’s joined by the guitar which increases in power, regenerates and threatens to feedback as it adds a post rock hue. By then, the saxophone is being played with power and an inventiveness. Even when the arrangement becomes understated. Things are about to change. Just like in Berlin, this is the signal for the trio to make their presence felt. A scrabbled, mesmeric guitar joins rolls of urgent drums and a blazing, scorching saxophone. The trio take the opportunity to kick loose and take the track in new and unexpected directions. John’s fleet-fingered, scrabbled, chirping guitar sits atop the machine gun drums. Meanwhile, the saxophone is being played with urgency and invention as it howls, blazes and brays. Not to be outdone, John delivers a virtuoso performance on guitar. He’s accompanied every step of the way by Nils’ drums as the track reaches a crescendo. By then, the trio have been transformed into a 21st Century free jazz version of the Jimi Hendrix Experience as they take their leave. After two epic tracks, Irabagon, Hegre and Drønen’s debut album Axis is over. It may have only lasted thirty-six minutes, but features Irabagon, Hegre and Drønen combing musical genres and pushing musical boundaries to their limits, and sometimes, way beyond on Axis. Irabagon, Hegre and Drønen combine elements of avant-garde, experimental, free jazz, fusion, improv, noise and post rock on what’s an ambitious, challenging and innovative album. It finds the Norwegian-American trio play with freedom and an inventiveness as the two lengthy tracks take countless twists and turns. Never try and second guess Irabagon, Hegre and Drønen. Usually, the music on Axis starts off understated and spacious as it meanders and begins to unfold. It can also be wistful and melodic. Then the music becomes variously challenging, mesmeric, urgent, dramatic and always is compelling and is full of nuances, sublets and surprises. For much of the time, the Jon Irabagon’s saxophone is at the forefront, and plays a leading role. However, this is no one man band. Instead, every member of the trio play an equal role in the sound and success of Axis. It’s an ambitious and inventive trans-Atlantic free jazz collaboration, that features musical pioneers Irabagon, Hegre and Drønen at their creative zenith on Axis, which was recently released by Rune Grammfon. ← FIIUM SHAARRK-WE ARE ASTONISHINGLY LIFELIKE.